"Giannis Antetokounmpo was showing his potential in 2017 as they took the sixth seed and made trouble for Toronto in the first round before exiting in six games. A year later, they took Boston, the second seed, to seven games, but again fell short. Now they're expected to be the top dog, but they don't have the playoff experience as a team and club to take anything for granted. You'd also prefer not to see them losing games they were winning earlier in the year as they've been doing recently." Here's a possible Eastern Conference finals preview, though the last week or so might cast some doubt on the likelihood of it. The Bucks have been top of the Conference since before Christmas. They've looked very secure in that spot, have piled talent on talent with their moves both before the deadline and in the buy-out market. There's not much to suggest they aren't the biggest challenge to the Western Conference Finals nominee this season, but you would wonder how they'll fare with the playoff pressure of being the number one seed. Giannis Antetokounmpo was showing his potential in 2017 as they took the sixth seed and made trouble for Toronto in the first round before exiting in six games. A year later, they took Boston, the second seed, to seven games, but again fell short. Now they're expected to be the top dog, but they don't have the playoff experience as a team and club to take anything for granted. You'd also prefer not to see them losing games they were winning earlier in the year as they've been doing recently. But this is an awkward time in the season, with playoffs spots often secured and only seeding still at stake. It's easy to look ahead to late April and early May, so maybe that explains why they needed come from a 20-point deficit at half-time in Miami on Friday. They ran out 25-point winners. The Sixers visiting town should focus any distracted minds in Milwaukee. For Philly, scrapping it out behind the Bucks and Raptors for the third seed, there's plenty at stake too. Whichever two teams of the Sixers, Celtics and Pacers fall into the fourth and fifth spots will be tasked with playing each other in the first round, where the third seed will face either the Nets or Pistons. For Philly, they'll be hopeful it's not Boston, as the team from Title Town has won all three games against their great rivals this season, and also knocked them out of the playoffs last year when Brett Brown's team looked like making an insurgent run to the Finals based on their regular season closing form. There's still a lot to play for still in Philly. The 76ers have more top-level talent this year after trading for both Jimmy Butler and Tobias Harris, but that's come at a cost to their depth. They'll need to make more salary room available to sign Harris on a permanent in the summer too, so this could be their one shot as a team at the championship. Getting an easier first-round opponent could mean a lot. 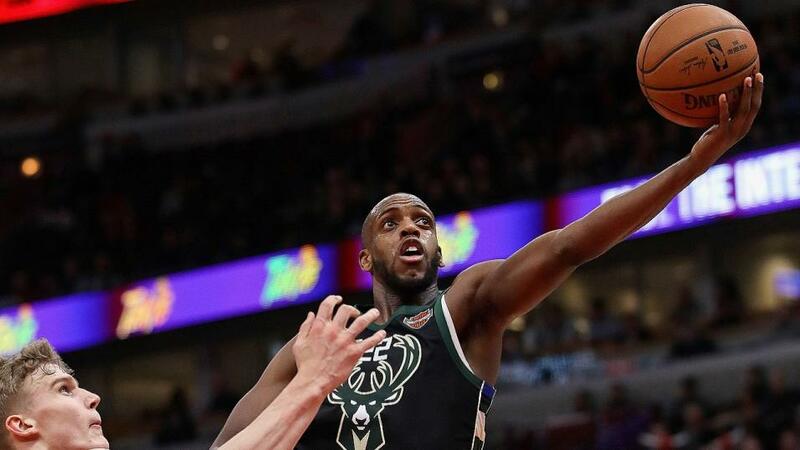 To that end, they'll want to put it up to Milwaukee tonight, but the Bucks have the best home winning percentage in the league - they've lost just five times there all season. That means the Sixers go into this as 6.5 point underdogs. They're a tick over 40% on the handicap away from Pennsylvania, and only slightly better as an underdog in the same spot, while the Bucks cover as a home favourite three times in every five. Their recent form on that metric hasn't been the best though, going 3-5 in their last eight in Wisconsin, so the Sixers represent value getting so many points at 10/11. Game 70 of the season, and it feels ridiculous to say, but we're still waiting to find out who the Raptors are. It's not just that we've seen them put up this kind of performance before - they're on course for another season of 58 wins or more, the number they hit last season - but that they've got the most mysterious of NBA stars on their roster this year. Former Finals MVP Kawhi Leonard is in Canada for this year at least. He's not expected to make a decision on his future until the summer, but if they only have him for this season, he offers the Raptors their best chance at a championship in their history. There's still a sense that they haven't seen the best of him. They're managing his minutes like the Spurs before. The idea is it'll add up and we'll see full-tilt Leonard in the postseason, and if he plays to his full potential there's every chance they'll face the Warriors come the final series. But for now, they're still working through the regular season. They're well set as the second seed with those behind unlikely to catch them. Detroit are still fighting for higher seeding too, and have had a recent hot streak to establish themselves in the East playoff picture. Blake Griffin and Andre Drummond continue to play at a very high level. They're 7-3 in their last ten and have the same record on the spread, and they'll give Toronto something to think about tonight. Fred VanVleet could return for the Raptors here. They've missed the depth he brings. Serge Ibaka is still suspended for his attack on Marquese Chriss. Kyle Lowry is in doubt. That disruption isn't ideal. Toronto have a less than average record against the spread too, so Detroit getting 2.5 points appeals at 10/11. Houston have been the form team in the league over the last few weeks. They'd put nine wins on the spin together before Golden State and Boogie Cousins came to town and left with a statement victory during the week. That'll have knocked the wind out of a team who look like they could really challenge the Warriors. Now they've to regroup. They had a gimme win on Friday over the Suns but fell short of the cover. That should be followed by another perfunctory victory over the Timberwolves. It became evident some time ago that Minnesota would not be making the playoffs. Some would say it's been clear since the start of the season, given how Jimmy Butler detonated their locker room before skipping town, but they hung in for a while after that. More striking still, since he left, Karl-Anthony Towns has shown his superstar talent. He's the league's leading scorer since the All-Star Game. And yet the T'wolves have struggled mightily. It doesn't bode well for this trip that they were so soundly beaten by a Utah team that didn't need to be at their best in their last game. That 20 point loss followed an even bigger beating in Denver. The trend for Minnesota has been over in recent weeks, and there are doubts about Harden's health, though he still put up 41 points in the Phoenix game. I think it's best to just play on Minnesota's scoring here. I would take the over on Away Team Total Points at 109 or lower at 10/11.